Hittail is an important Keyword suggestion tool for Websites to find more related long tail Keyword. This is very useful for Blogs and E-commerce sites to improve Keyword relevancy and topic authority. There are numerous SEO tools out there and my are of interest is on those SEO tools which takes care of particular problem. For example, earlier I talked about one tool call SEMRUSH which let us find long tail Keyword with high CPC. 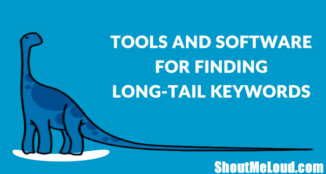 Today I will be reviewing a long tail Keyword suggestion tool known as Hittail which I also mentioned in my earlier article: How to use SEMRUSH, and here I will be sharing the review and why this tool is so valuable in post Panda stage. 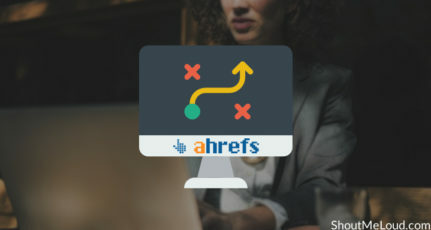 How to start using Hittail SEO tool? To be honest, my first impression of Hittail was not great. I thought this tool was useless and after using it for a while, I never used it. My mistake was I just signed up for the tool but never put it to work. 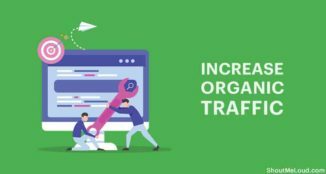 But after a while, when I used this tool, I was amazed to see improved ranking for some of my popular Keywords and my blog started getting more organic and targeted traffic. So, let me explain What is Hittail and what is the use of this SEO Keyword tool? Post Panda age, Google started giving more importance to niche and authority blogs. For example, if you are writing about only “WordPress” related topic on your Blog, it will be easier to rank but when you are using a multi-topic blog, you will have to fight hard to create an authority and get good ranking in any niche. For example, here at ShoutMeLoud, I cover topics like Content marketing, SEO, Blogging and so on. Now, due to topic diversity, it takes time for a niche-less to get authority and ranking. Where as, on WPhostingDiscount, I write about WordPress hosting and one way to create authority and improve ranking over time is, write content based on related Keyword which drives more traffic. More over, Long tail keyword is the most profitable and easier to rank for, as it solves user queries and Hittail SEO tool is an answer to it. Hittail analyzes your current keywords which drive traffic to your blog and suggest more related long tail Keywords based on that. All you need to do is write content based on those Keywords and see your ranking improved and Overall improvement in authority. In short, Hittails let you create more related content on any given niche/topic and improve your authority and Keyword ranking. Especially for an E-commerce of business sites, HitTail is one must have Keyword suggestion tool. Hittail offers different pro plans but the best part is, it’s free to try for first 21 days, which is good enough to see how effective Hittail is and if it’s any good or not. Depending upon your requirement, you can sign up for different plans which you can see on Hittail plans page. Getting started with Hittail is easy, go ahead and create an account and add your domains. It will give you a script which you need to add in the head part of your blog and it will start tracking all Keywords which drive traffic to your Blog/Website. Once you have configured Hittail, you can start getting details and suggestions for Keywords Inside Hittail dashboard. The dashboard is pretty simple, and you can sort Keywords based on Paid, organic and New suggested Keywords. Keywords which make sense to you, you can click on it and it will be added to your To-do list. Hittail also takes article orders but I find it little pricey. Rather, you can manually order content from a site like ContentMart or TextBroker. These Keywords are suggested based on my current traffic driving organic Keywords. You can also click on My hittail at the top to see what Keywords contributing to your current traffic. After using it for months and seeing the effect of publishing posts based on Suggested Keywords by Hittails, I highly recommend this tool t everyone. Especially for a Business and E-commerce sites, Hittail will be very effective to increase organic traffic. 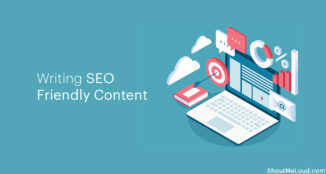 In nutshell, Hittail is very useful content marketing SEO tool for business Blogs and E-commerce sites to improve Keyword relevancy and topic authority. More over, a free 21 day trial account is good enough for you to see the effect of using Hittail and don’t make the same mistake which I did by not using Hittail data to create articles. 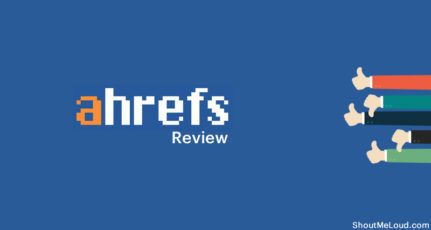 Do let me know if this Hittail review helped you to find a new SEO Keyword tool for your Website or not? How many of you have been used Hittail and how’s your experience so far? But I think for a newbie blogger like me, Google Keyword tool is best and evergreen. And its free for lifetime also. Well the experience of using Hit Tail was actually useful, It provided us with recommendations of words and helped us to target more keywords which we actually did not realise. Even if you are a newbie blogger, there is no harm in exploring hit tail, I am sure, it would have bought good results for your efforts. Thanks Rahul, I am learning day by day and I know how Harsh is helping a newbie blogger like me. Thanks a lot for this blog and all efforts. It is kind of a little bit pricey for novice and starters to online business. I think it would be great if they have a package that is just one time payment. As for me I purchase two keyword related tools from Brad Callen namely 1) Keyword Elite 2.0 and 2) Niche Finder. Both products are one time payment and they work. Being novice there is plenty of experimentation left so let us experiment with Harsh’s recommendation, if suits then have to take its suggestions seriously to build our blogs. Thanks for sharing awesome SEO tool will surely give a shot. Although I’ve not tried Hittail’s article writing services, I can definitely say that it is a must-ave tool for those of us operating blogs and econmerce websites. Hittail has help me to figure out which topics are doing well on my blog and in short order too. Hittail combined with with Google Analytics have both help me to focus on certain keyword phrases and not spend countless hours trying to rank for the impossible. Yes, there are some free tools on the market, but paying for Hittail each month is more than worth it. Till today I have been using Google’s keyword tool (now keyword planner) and must admit is quite useful besides i have tried market samurai keyword tool and it was amazing as well.Definitely would love to give it a try. Hittail seems a nice tool to find long tail keywords, but I still prefer google adwords tools as its a lot easy as well as free of use. But still will give this tool a try. 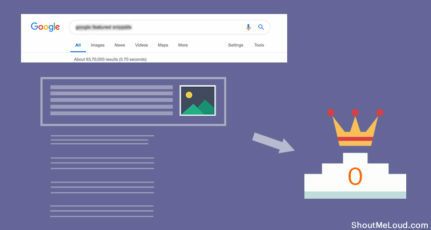 Mayank, I agree to your point as there are methods like using the google search operators to find whether if you can rank using the long tail keywords, so rather than depending on paid tool we should get techniques which will help us in longer term. I have actually been taking this approach for my blog. Having a tool to assist with this will only make my job easier. Great article and great tool – can’t wait to see the results. Hi Harsh, Seems like I have to start using HitTail tool to capture the long tail keywords, and in turn deliver content based on it. My Niche is Cars and bikes… Hope I find some great keywords from this tool. Thanks for sharing ,i just sing up for this service and started using it.Let’s see how it helps me. Every time I come to your blog, I find something new and interesting. Today I got to learn about HitTail and I am using it now. Thank you Harsh for adding reviews about the stuffs which can really help other bloggers out. Yes keyword research is very important for a blog. We should research keyword before preparing a content. We use many kinds of online tools for doing this task. Anyway, thanks for introducing hittail keyword tool with us. Will give a try. Thank You Harsh, It helps in getting high paying ads. Will this work for new blogs? Or if I have no traffic but few articles? With no traffic & new blogs I wouldn’t recommend. If you have a niche blog with decent traffic (400-500/Day), then you should try it. Thanks for the great article. I am just starting to use the long-tail keywords and this is great information. I am definitely going to give it a try!! Great info sir.. i am following your tips.. those are very helpful.. thank you..